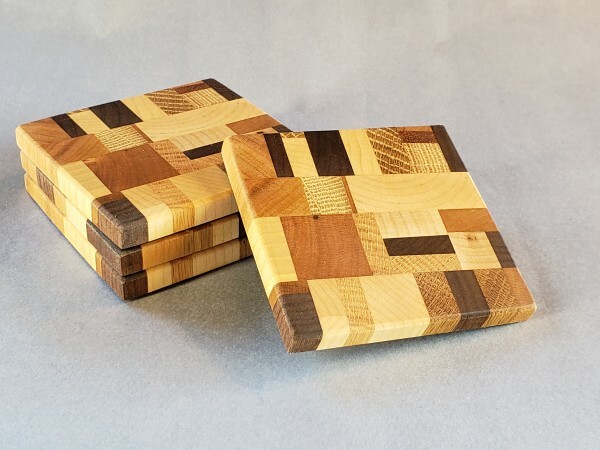 A set of 4 end grain wood coaster. Approx. 3.5 x 3.5" and 3/8" thick. These have cork feet and are finished with danish oil. Woods used include walnut, maple, cherry, mahogany, white oak, red oak.